I have been after a pom pom garland for ages! I think that they look so cute in pastel colours. I wanted a pastel pink and mint garland so I messaged My Forbidden Butterfly to see if she could do me a custom one and Terri was kind enough to make one for me. All her premade ones are gorgeous too though, there's lots of gorgeous pastel garlands! Terri also makes ribbon garlands which are very pretty. 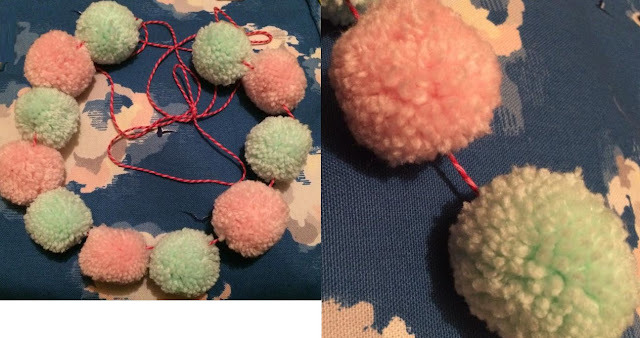 I had my heart set on a pom pom one though so I went ahead and ordered my custom one! 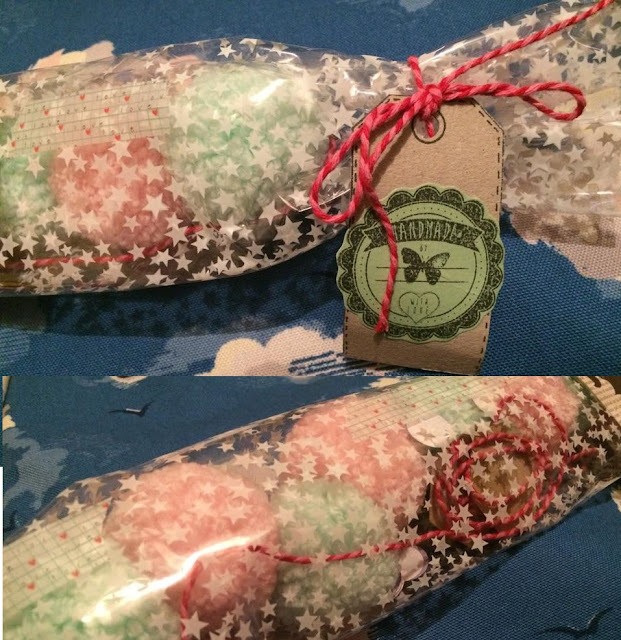 Upon opening my package, I was pretty taken aback by how beautifully my garland was packaged. It looked like a big ice cream or some candy, aaaww! There's lots of little confetti pieces inside too. Terri also included a handmade card with lots of washi tape samples on there which will be very useful when it comes to hanging my garland up. Her attention to detail is really impressive! The garland itself is quite long with 11 pom poms on there and Terri included lots of extra hot pink twine so you can spread the pom poms out if you wish. The pom poms are made from lovely soft wool and they're all very pretty. I'm pleased with my beautiful garland. It's exactly what I wanted, the colours are lovely. Definitely check out My Forbidden Butterfly here.